We have recently have had a change in schedule. All dates for films on this email are correct. Thanks for your understanding an patience. 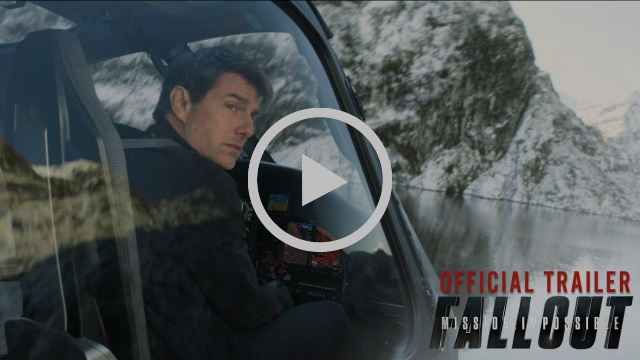 Mission Impossible: Fallout is the 6th movie in the Mission impossible franchise. Rated an astounding 98% on Rotten Tomatoes, MI: Fallout is about Ethan Hunt and his IMF team, and their race against time after a mission gone wrong. Customer Feedback Survey: Your Opinions Matter to Us! You asked and we listened! If you liked Summer of Sundance, you are going to freakin’ love Summer of Sundance 2, bringing you the best from the Sundance Film Festival. This time, we are bringing you a total of 6 movies in 7 days – you heard us right. List of movies: Three Identical Strangers, Sorry to Bother You, Searching, American Animals, Damsel and Leave No Trace. For trailers and more info, see below. Dates and show times to be announced shortly. Dates between August 3 – 9 TBCAs Scott Lang balances being both a Super Hero and a father, Hope van Dyne and Dr. Hank Pym present an urgent new mission that finds the Ant-Man fighting alongside The Wasp to uncover secrets from their past. Dates between August 11, 14 TBCFour young men mistake their lives for a movie and attempt one of the most audacious heists in U.S. history. August 10, 12, 14 TBCA father and his thirteen year-old daughter are living in an ideal existence in a vast urban park in Portland, Oregon, when a small mistake derails their lives forever. August 15 TBCIn 1980 New York, three young men who were all adopted meet each other and find out they’re triplets who were separated at birth. Then they discover why. August 16 TBCIt’s the Wild West, circa 1870. Samuel Alabaster, an affluent pioneer, ventures across the American frontier to marry the love of his life, Penelope. As his group traverses the west, the once-simple journey grows treacherous, blurring the lines between hero, villain and damsel. Copyright © 2018 | Nelson Civic Theatre Society| All rights reserved.